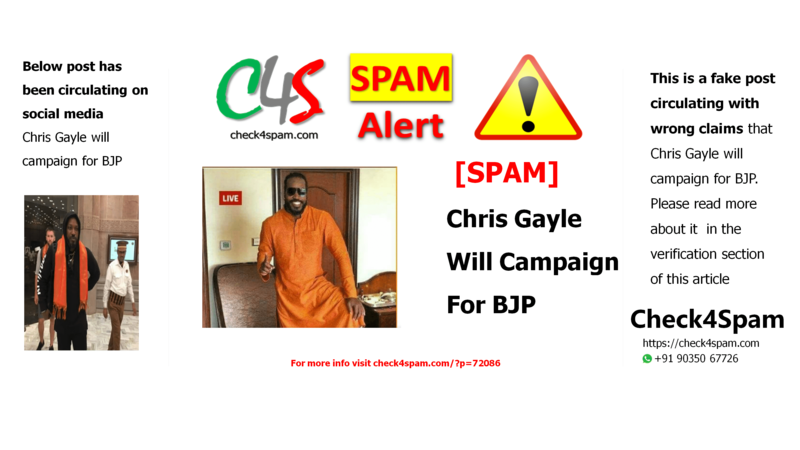 This is a fake post claiming that Chris Gayle will campaign for BJP. Please find more details in this article. The image is being used as memes by some and some people actually believed that Chris Gayle will be campaigning for BJP. This is not true. The images are from the year 2018. Chris Gayle is not going to campaign for BJP. You can check the images from the Instagram and Twitter account of Chris Gayle. All images are from the year 2018 and are being shared on social media with wrong claims in 2019.